Arlington, Va. – Oct. 8, 2018 — Rebecca Snelling, JE Dunn Construction, will receive the Lean Construction Institute (LCI) Chairman’s Award for her contributions to LCI and the wider design and construction industry. Rebecca began her Lean journey 12 years ago by implementing Lean approaches while working for a construction company. Since then, she joined JE Dunn Construction and has made significant achievements in pioneering Lean in the design and construction community as their Vice President and National Lean Director. 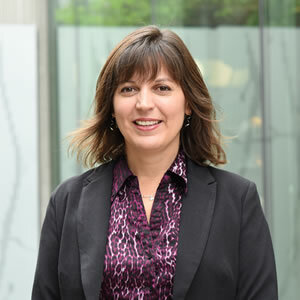 In the course of her six years with JE Dunn, Rebecca has inspired numerous Lean champions to spread Lean implementation on projects across the nation, encouraging many of them to become LCI instructors and support local LCI Communities of Practice (CoP) events. Rebecca’s support for LCI has been displayed in the form of presentations at CoP events across the country, as well as national events like the LCI annual Congress. While serving on LCI’s Education Advisory Group, Rebecca hosted a Knowledge Transfer session that led to the publication of Target Value Delivery: A Practitioner Guidebook – Current State 2016. Today, Rebecca is one of the few experienced Lean practitioners approved to instruct LCI’s Target Value Delivery course. Rebecca also helped develop three major LCI publications, including the latest to be released in 2018, Don’t Conform, Transform! “Rebecca is a nationally-recognized Lean Construction expert and practitioner whose early career was marked by her ability to spread Lean deployment effectively among numerous firms with whom she has worked as a consultant,” said Dan Heinemeier, LCI’s executive director. As an experienced Lean leader, Rebecca is consistent in leading project teams in the effective implementation of Last Planner® System in order to deliver projects on time and on budget without sacrificing value delivered to the owner. She will be honored with the LCI Chairman’s Award on Thursday morning during the 20th Annual LCI Congress, Oct. 15-19, in Orlando, Florida. About Lean Construction Institute: Founded in 1997, LCI is a non-profit, membership-based organization with a vision to transform the built environment through Lean implementation. With common language, fundamental principles and basic practices, LCI aims to increase stakeholder satisfaction and project delivery value. The design and construction industry’s productivity level has remained nearly stagnant in 50 years as other industries thrive, but LCI sets out to improve the industry by facilitating continuous education through their Transforming Design and Construction book series, Lean instructional training courses and the annual LCI Congress and Design Forum. LCI advocates for using a variety of tools and techniques that help promote collaborative planning, waste elimination and work-site safety. For more information, please visit www.leanconstruction.org.